"Even if they are trying to cover something up, you really think you've got the authority to expose it?!" No, but that's not going to stop Sakijima from going full loose cannon and confronting the corrupt and wonderfully Orwellian sounding Observation Bureau head-on. Good lad. He's about to get himself into a whole heap of trouble. "A vast city lies under the shadow of colossal, ancient tombs, the identity of their builders lost to time. In the streets of the city, something is preying on the inhabitants, something that moves faster than the human eye can see and leaves unimaginable horror in its wake. Factory worker Denji Kudou just wants to keep his head down and continue his quiet existence, but he is the key to stopping forces that would bring about an apocalyptic transformation of the world." Tsutomu BIOMEGA / KNIGHTS OF SIDONIA / BLAME! 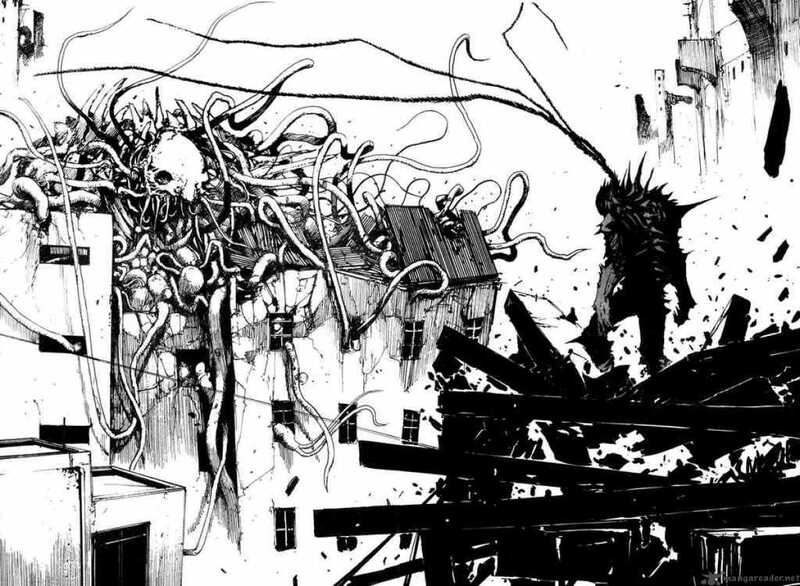 / APOSIMZ Nihei is back once again with, well, exactly more of just what it is that he does best. That being dystopian cyberpunk set in an architecturally imposing situation featuring characters which are prone to spontaneously morphing into gigantic multi-limbed monsters as they are losing their heads to the horrific sounding "vertebral detachment mechanism". There's big guns too. Obviously. Plus that all important impending potential apocalypse to be averted, or at least steered in an entirely unexpected direction. Surprise! There's usually at least one huge one in a Nihei work. 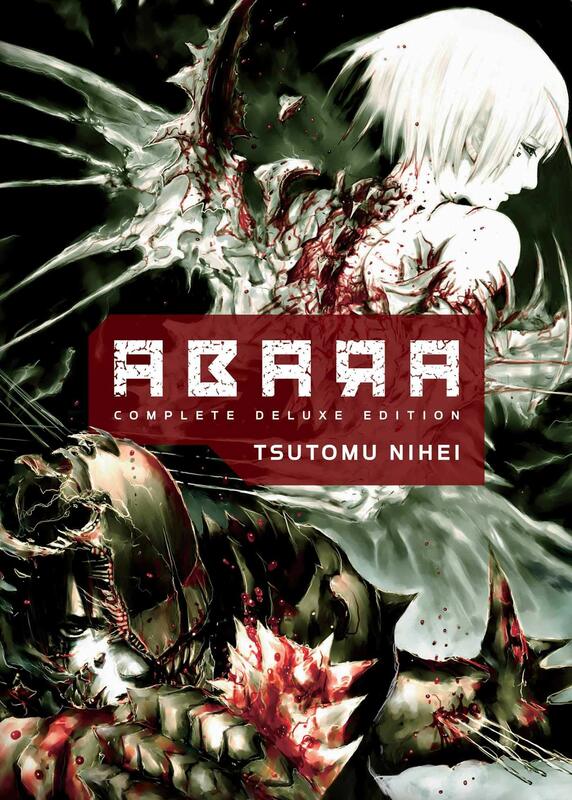 Closest in tone, content, pace and art style to BIOMEGA by far, this self-contained high-octane horror in plush hardback form should win Nihei some new rabid fans and go straight on the shelves next to all his other material for existing ones. You could, if you were sufficiently churlish, wonder if he is ever going to do anything completely different, but given I always finish his works wanting more, I'm not going to be that person. Plus I don't want a chiropractic treatment from the "vertebral detachment mechanism". 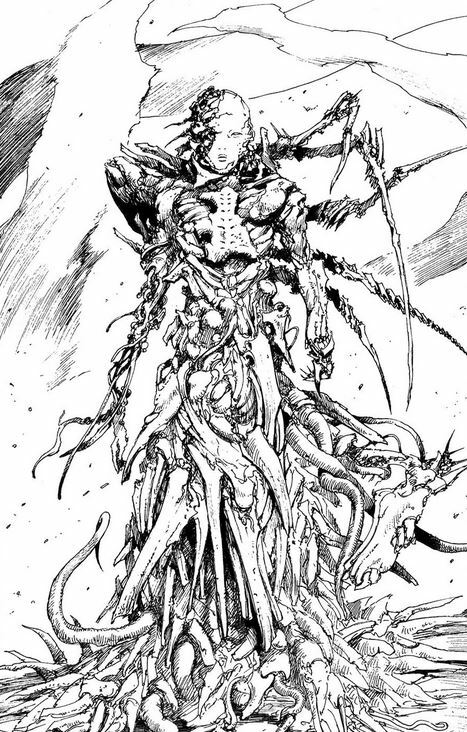 I can't ever imagine Nihei writing a romance, but if he did, I'd be on tenterhooks waiting for a dashing damsel to turn into an AI-powered flesh-eating zombie and start marauding across a mega-city spreading death and destruction behind them. Nihei's just that sort of guy. What can I say, I like him a lot! 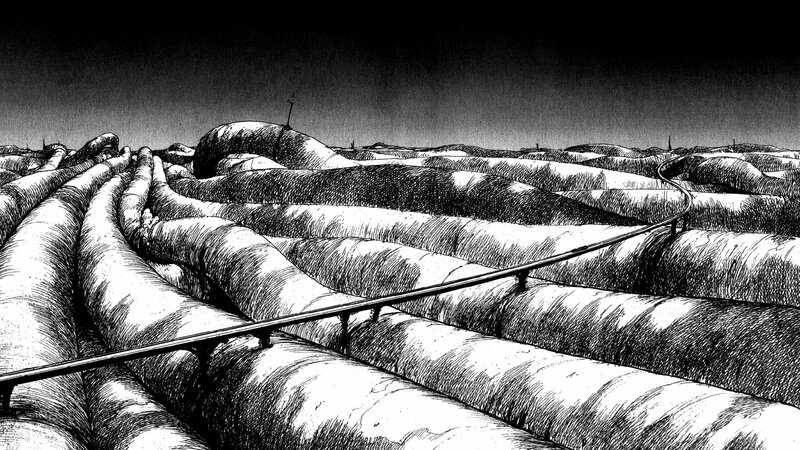 If you finally feel like putting down AKIRA and trying something else, give him a go.